Regular Ticket: SOLD OUT ! Excessive kicks that get you pumped all night long. 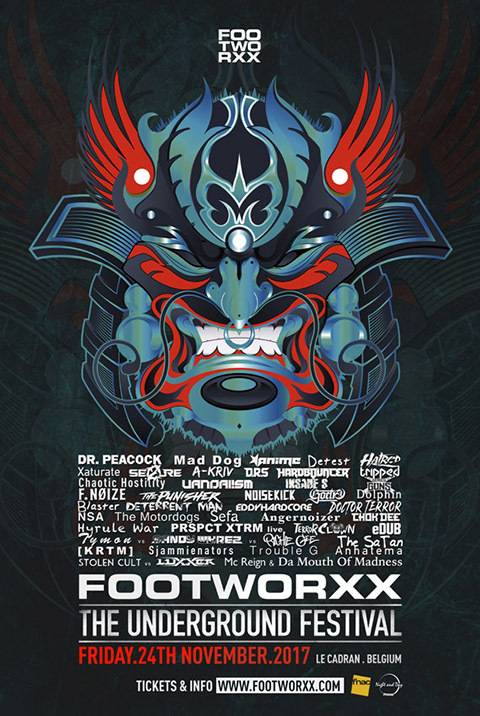 This is 14 years footworxx, a 3 room wildernis with the hardest beats. There will be NO tickets available at the door. - Cloakroom available to put away your clothes/backpacks. - Bancontact / Mister Cash terminal inside. - Come early to avoid waiting lines. - Always follow instructions of staff, security. - This is a 16+ event.